Want to learn and train in a world class training facility? Want to learn and train alongside some of the best coaches in the country? 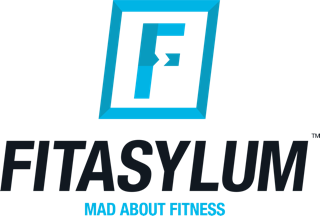 If you’ve answered yes to any of the questions above then read on…..
We’re delighted to have partnered with FitAsylum one of the UK’s best providers of Personal Trainer Courses to develop and deliver an outstanding Personal Training Course from our state of the art venue, here at The Athlete Factory. The 11-day Course combines both the L2 Exercise & Fitness and the L3 Personal Trainer qualification, resulting in candidates gaining an industry recognised Diploma in Fitness Instructing & Personal Training, fully qualifying you as a Personal Trainer. The qualification can be fully funded via the government, meaning you won’t pay anything to attend the course and will only start to pay the course fee’s back once you’re earning over £25,000.